A little early with this one, but it is nice to be early for once! For our October technique, The $Maker, Chad Wilson, shows us a cool variation on a choke from his guard. Chad has been a valuable member of our team for a few years now and we feel very lucky to have him around. Thank you $Maker, you are the man! On Saturday night at Fort McDowell casino, three MMA Lab competitors went into competition, and all three came out with submission victories. Brandon Austin started off the night with Von Flue choke in under 2 minutes. Chris Huber steam rolled his overmatched opponent in under 30 seconds, taking him down, mounting him, and finishing him with a rear naked choke. Brandon Newport had a tough, hard fought first round, but came back and won via guillotine choke in round 2. All three guys have been working very hard in preparation for their fights and we could not be prouder of them! Thank you gentlemen, it was fun to be there! 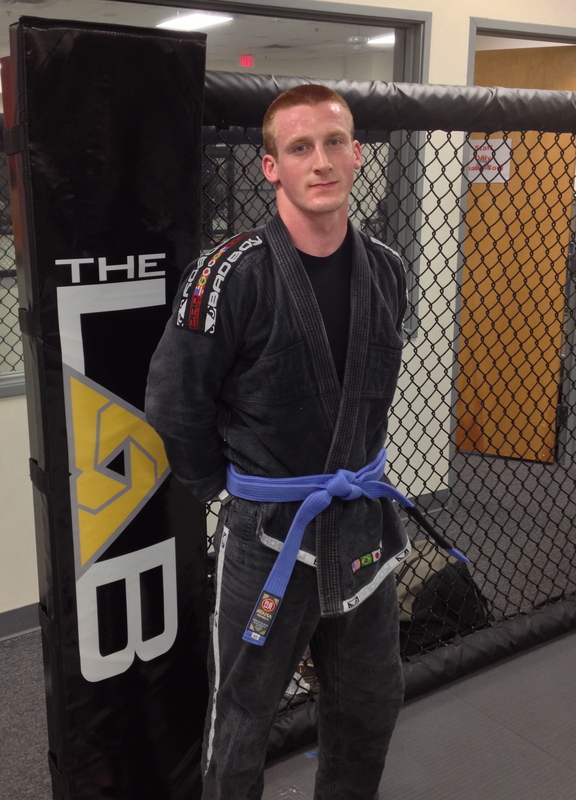 Tonight at the MMA Lab, Mike Peters became the newest JCBJJ/MMA Lab Blue Belt. Mike is a tough competitor and has done a great job working to earn this promotion. Thanks Mike, really appreciate all you bring to our team. Congratulations! We have all missed a double leg before, and been stuck underneath someone! Joe “Diesel” Riggs takes a minute out of his training camp and shows us how to use a peek out after a missed double leg shot. Joe has been a part of our team for a few months now, and is doing great and training hard for his fight October 13 in Castle Rock, CO. Check Joe out on twitter: @DIESELRIGGSMMA or on his Facebook page. Thanks for the technique Joe, and it is great to have you on the team! Congratulations to the Newest JCBJJ Purple Belt, Rachelle Crouch! 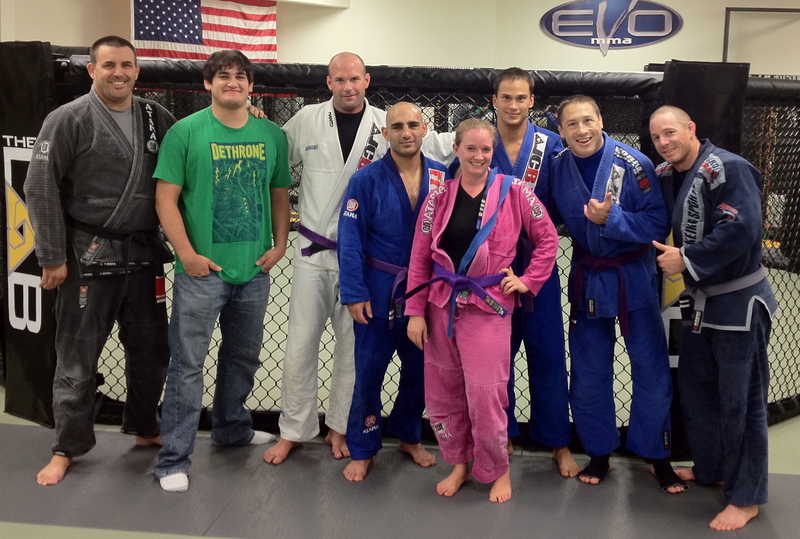 On Friday, after almost 15 years of training, Rachelle Crouch was awarded her purple belt. Shelly has stuck in there with her training through nursing school, 3 children, and a move to Phoenix, and we are so proud to see her in a purple belt. Congratulations Shelly, you have earned this belt! From L to R: John Crouch, Luis Ordonez, Chad Wilson, Joe Gemma, Rachelle Crouch, Jonathan Hill, Travis Jeffrey, Robert Copeland. 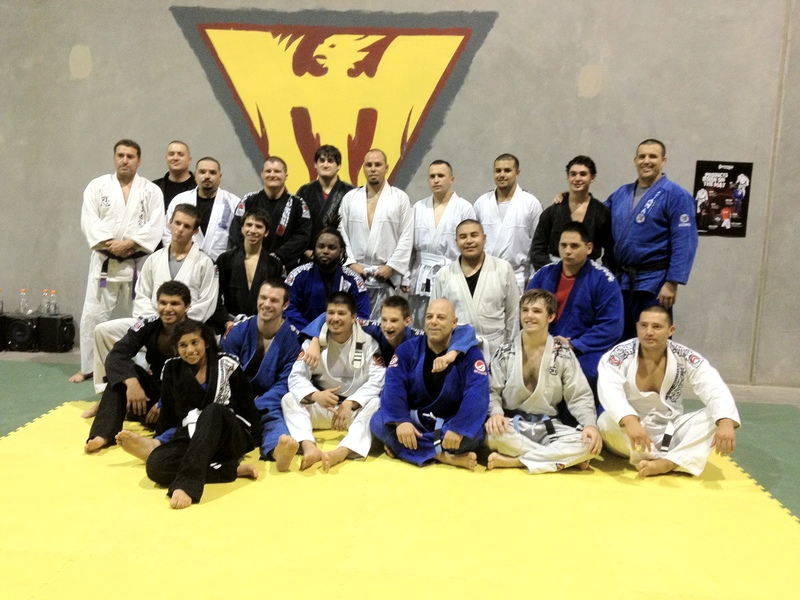 Tonight we had a great time at Phoenix BJJ while doing a promotion seminar. The guys are getting really good, and Kevin Scott is doing a fantastic job building his team. 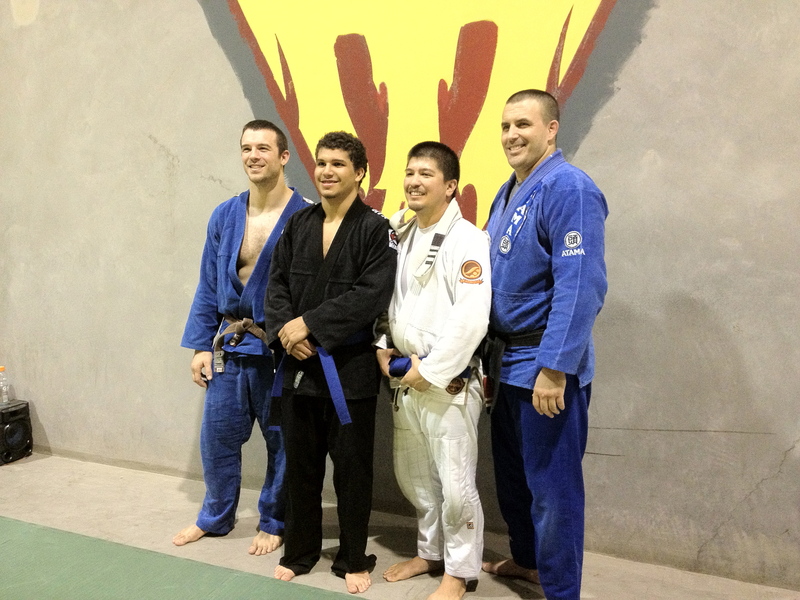 Two young men earned their blue belts today; Kelile Bradley and Mark Sablan. Congratulations to these guys and thanks to everyone that came out and had some fun tonight.